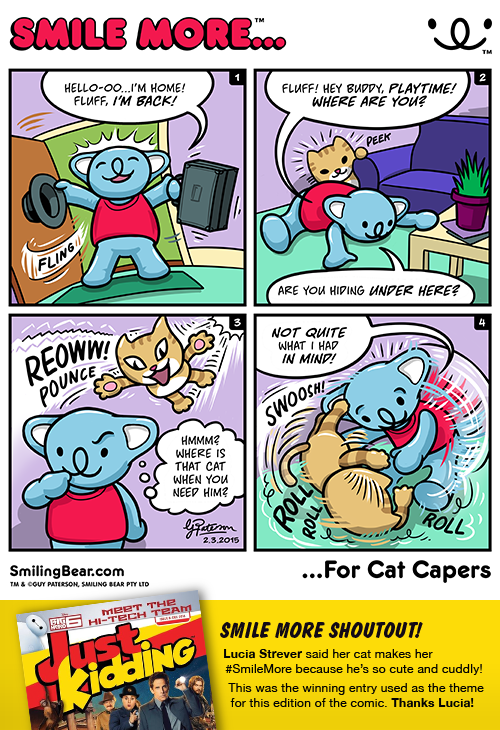 Smile More™ the weekly webcomic kicks off again this week, so lots more koala cartoon pictures for you to check out. Towards the end of 2014 we ran a competition in Just Kidding Magazine and the winners have just been announced. The competition was to answer the question, “What makes you SMILE MORE”. 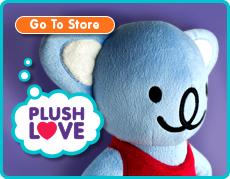 We had some great answers and the top 6 won cute koala plush prize packs. 1. Lucia Strever from Noranda, Victoria. 2. Mariah Stavliotis from West Croydon, South Australia. 3. Amelia Hitzke from Clontarf, Queensland. 4. Charlie Slack from Perth, Western Australia. 5. Blythe Lambie from Rowville, Victoria. 6. Annie Jiang from Glen Waverley, Victoria. A special Smile More Shoutout goes to Lucia Strever. She said that her cat makes her Smile More because he’s so cute and cuddly! Congratulations Lucia, your answer has become the theme for this latest edition of our cute koala comic. Fluff is Smiling Bear’s pet cat, and it seems his idea of a cuddle is more like a quick wrestle 'n' roll! 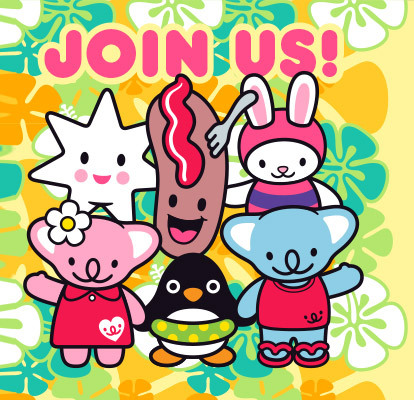 Why not sign up to our Smile More Society newsletter, and receive each webcomic direct to your inbox? Use the signup panel on the right hand side.